Dimensions 0.50 by 7 by 7 in. Amazon.com description: Product Description: Edward Gorey's The West Wing is an invitation to the imagination. On each page, a room beckons, inviting the reader to wonder why three shoes lie here abandoned, what is retreating in that mirror's reflection, or why there is an imprint of a body on the wallpaper, faded and floating four feet above the floor. A wordless mystery, it is one of Gorey's finest works. 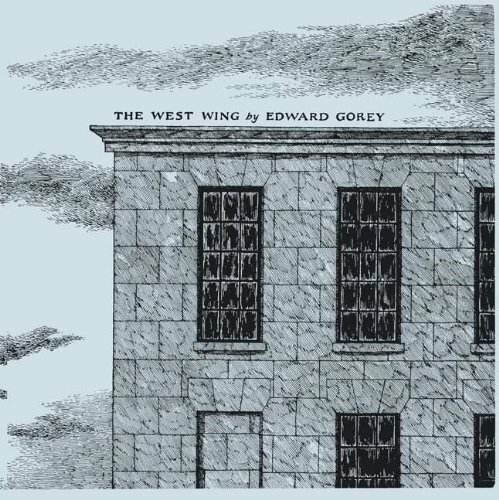 About: Edward Gorey's The West Wing is an invitation to the imagination.